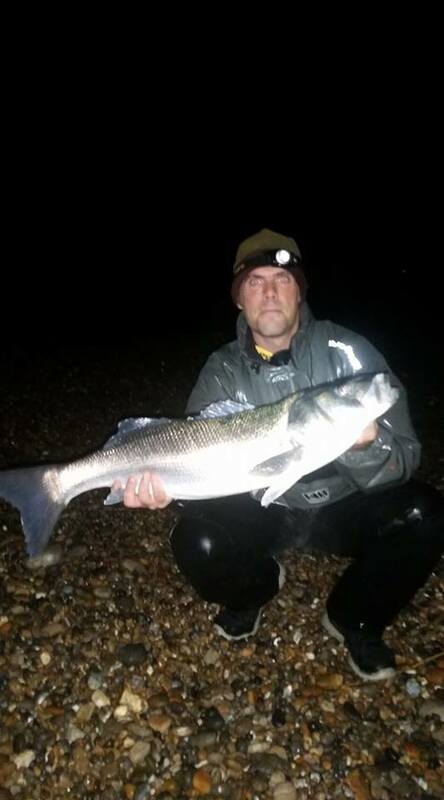 I did say on Monday that November is one of the best months of the year for big Bass and Ben Male proved exactly that, with a 12lb Bass caught at Seaton on Garfish. I have to admit to never having used Garfish as a bait, other than to catch Garfish, but I had heard that it is a good bait, especially for Conger. Ben has just proved that it is also good for catching Bass. It was a good call to use Garfish, as there are lots of them around at the moment, so Bass would expect to come across them. The easterly wind will be the biggest factor for anglers thinking of fishing this weekend. It will make venues such as Chesil, fairly easy to fish, as you will be able to get long casts in with the wind behind you. However if you are after a Bass, then Preston Beach and Bowleaze Cove will have a good surf pounding in and that is sure to attract them. 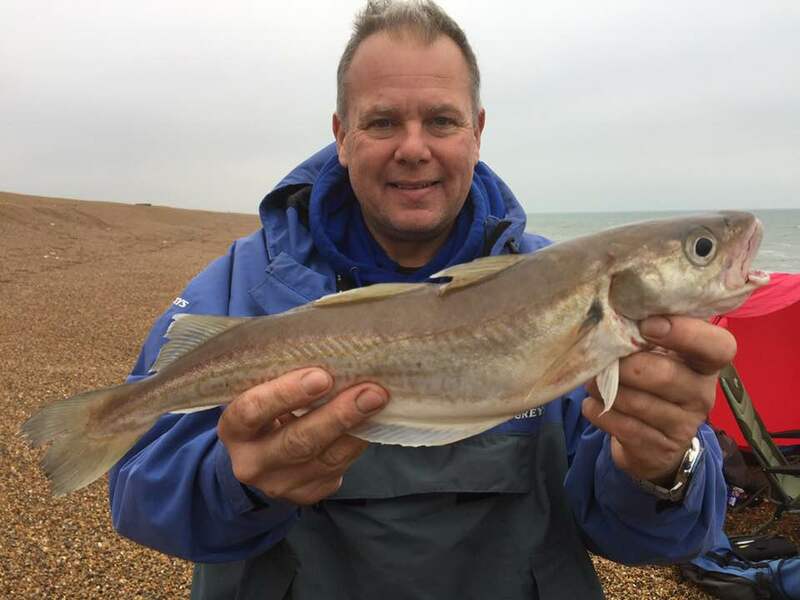 I have been lucky enough to have received some very up to date catch reports from Kevin Duddridge, who is fishing on Chesil as I type this. He managed a Codling fairly early on in his session. However welcome the Codling was, it was made to look rather insignificant, compared to this whopping 2lb 6oz whiting. Chesil Beach forecast: With clearing water and a strong easterly wind, Chesil will be a very good venue for a whole host of species. Cod and Whiting are the obvious targets, but don’t forget that there are still some big Plaice inshore and feeding up, prior to their winter breading. I have heard from a number of commercial boats that there are quite a few John Dory being caught. Chesil Cove is a good mark for those, as well as Squid and late Mullet, which will often take large Mackerel baits. Don’t forget that the Garfish hang around, well in to December and are great sport on light tackle, whilst you wait for a bite from something a bit more edible. Portland Harbour: This could be another potential mark for those that are not afraid to cast a lure into a strong wind, for a Bass or two. I love using surface lures in choppy conditions and Bass are more likely to be tricked when they can’t see the lure properly. I like to use 25g poppers or a Patchinko. Make sure you work it hard and create plenty of surface noise with them. Portland: The East side will be pretty difficult to fish and with a fairly dangerous swell coming into Church Ope Cove, it is probably best avoided. However fishing on the West side of the Bill could well produce Wrasse and the odd Bass. Weymouth Bay: As I mentioned earlier, Weymouth seafront will be pounded by a good surf, which Bass love. It isn’t going to be the most comfortable fishing, but the rewards could be fantastic. Fish with large baits that are going to give off lots of scent. I prefer Peeler Crab or whole squid. 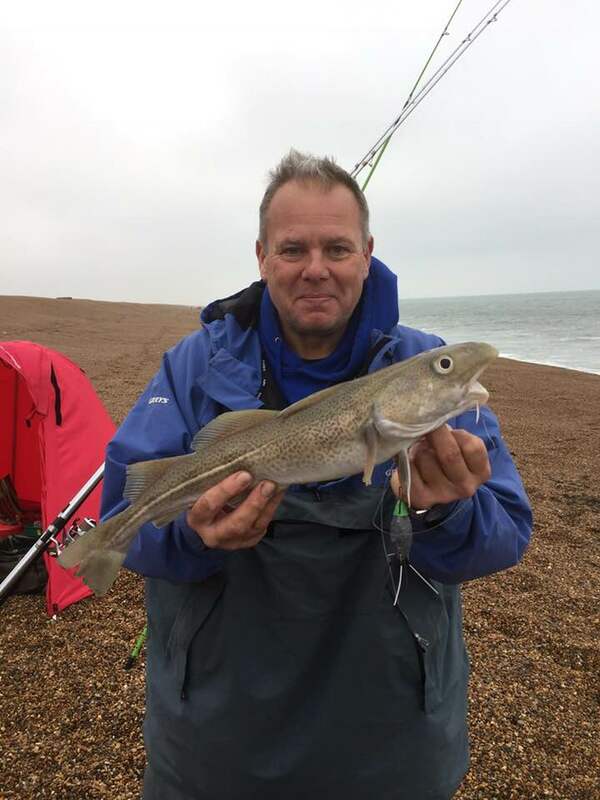 Talking of Squid, there have been a few caught on the piers this week, but the rough conditions and strong easterly wind, will probably put them off. One Response to "Big Bass in November"